Markham's Behavioral Health: Study suggests drinking tea, black or green made from tea leaves, can reduce the risk for Alzheirmer's in people over 55. Study suggests drinking tea, black or green made from tea leaves, can reduce the risk for Alzheirmer's in people over 55. Drinking tea is linked to a dramatic reduction in the risk of cognitive impairment in older people, new research suggests. 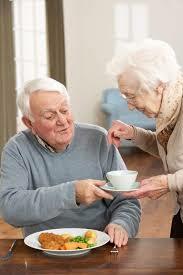 A single daily cup of tea reduces cognitive decline in those over 55 by 50%, the Chinese study found.